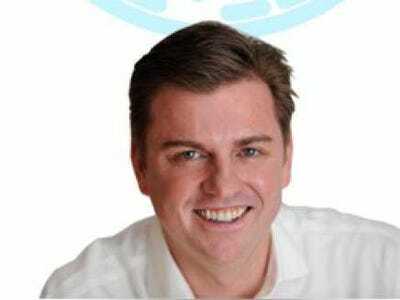 Tony Bates, the CEO of Skype who sold the company to Microsoft for $8.5 billion, just got broadened responsibilities.He is now overseeing Microsoft’s enterprise Internet phone product, Lync, in addition to running Skype. No Microsoft execs are leaving because of the change, we’re told, but there will be some shifting. For instance, Microsoft’s Derek Burney, corporate vice president of Microsoft Lync Engineering, will now report to Bates, a Microsoft executive told us. Lync is similar to Skype in that it offers instant messaging, video conferencing and phone calls over the Internet. But it’s geared toward business use, with management features and controls that IT departments need. Companies can buy Lync as part of the Microsoft Office Suite and run it as a service on their networks. Or they can buy a cloud version, Lync Online, also part of Microsoft’s cloud version of Office. Microsoft has been saying for a long time that Lync is one of the most popular, fastest-growing products in the Office family. Today, as part of the Lync Conference in San Diego, Bates released a few stats to back up those claims: 5 million employees at enterprise companies are using Lync, up from 3 million 14 months ago. 90 companies on the Fortune 100 are Lync customers, too. Having the unit report to Bates is interesting for a few reasons. It’s a “significant change,” Skype marketing executive Giovanni Mezgec told Business Insider. It puts Microsoft “in a unique position” in having video chat products for both enterprises and consumers and making the two work together. Having Bates in charge of Lync will not make Cisco happy. Bates worked at Cisco before joining Skype. And Cisco has been waging war against Skype since Microsoft acquired it in 2011. Cisco sells room-sized videoconferencing systems and other expensive gear. It’s upset that Skype’s technology doesn’t work well with Cisco’s. It’s even argued that the government should step in and make Microsoft change Skype to interoperate with Cisco’s hardware and software. Microsoft’s Skype team laughs at Cisco’s arguments. “In terms of Cisco, numbers show that customers are choosing us,” Mezgec said. Today, Microsoft upped the competition with Cisco and announced a new room-sized product called Lync Room System. Microsoft has a more immediate concern than appeasing a competitor. First, it needs to make Lyc and Skype work well together—something it promised when it bought Skype. Today, Bates promised that the two products would work together by June, at least for presence, IM, and voice. The video part may take as long as another year after that.